Bringing your dog on holiday has become more popular than ever as the number of pet-friendly accommodations have increased. In The United States, over two million pets and other live animals are transported by air every year, according to The US Department of Transportation. This is very promising news, but what do you do if your dog gets hurt on holiday? It’s hard to imagine a canine health crisis when you and your dog are having a grand old time. 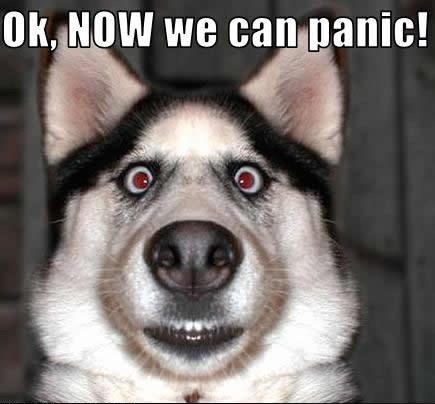 However, if your dog falls ill, the chances are that panic WILL set it. It is important to prepare yourself before you leave on holiday. Before you leave home, research veterinarians in the area you are going. Print out the information to put in your pet’s first aid kit, and load the contact details into your smartphone. Make sure to have at least two veterinary options in case one of the vets in unable to treat your dog on short notice. Also, research the closest 24 veterinary emergency clinic in case your dog gets ill in the middle of the night. Also, don’t leave home without updated vaccines and your dog’s medical history. You will need this information in case of a medical emergency. Filling your dog’s first aid kit is so crucial before your dog travels anywhere. According to The Humane Society, your pet’s first aid kits should include pet-related supplies, basic first aid supplies, and other useful items such as towels, travel medications, nail clippers, and syringes. Important phone numbers including your veterinarian the nearest emergency veterinary clinic (along with directions!) and a poison-control center or hotline (such as the ASPCA poison control center – the number is 1-800-426-4435). 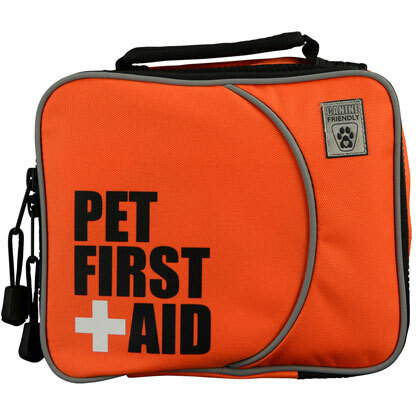 Of course, you can buy a first-aid kit designed for people and add your pet’s first aid items to it. Or, you can dedicate a small piece of luggage to your dog’s first aid needs. There are also several pet first aid kits that are sold at pet stores or online that have items specifically for helping a sick dog. These kits are generally smaller and are useful for shorter weekend getaways. For longer holidays with your dog, you want to have everything you need in case of an emergency. These courses teach the skills and knowledge on how to prevent, recognize and treat issues with dogs. You’ll learn emergency skills such as what to do if your pet has a seizure, suffers an electric shock, is injured in a car accident or ingests poison. You’ll also be trained to administer CPR if your pet stops breathing. Many courses are now available online for convenience. Pet Health Academy offers an interactive CPR Pet CPR and 1st Aid Certification course for only $65. This small investment might prove very useful if your dog becomes ill or gets injured on holiday. How Do You Know if Your Dog Needs to See A Vet While Traveling? Bloody Wounds Obvious lacerations or deep wounds. If your dog is participating in activities such as hiking, swimming or running long distances, they are at greater risk for injury. If your dog is limping for more than a few hours, or squeals when you try to touch his or her wounds, you will want to call the vet. Not Hungry If your dog goes two without eating, it is a clear sign that your dog needs an examination. Many dogs will stop eating when they arrive at a new destination, but it is a red flag if it goes longer than a couple of days. Too Thirsty If your dog is drinking excessively and having regular accidents in your holiday cottage for more than two days you should call a vet. They might have a bladder infection that will require immediate medical treatment. 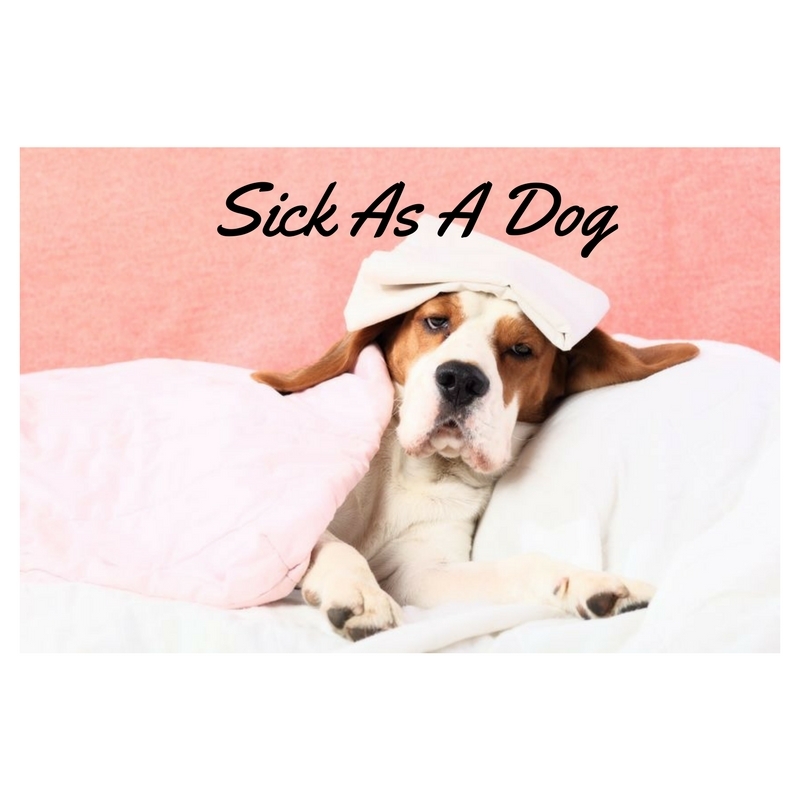 So, So Tired Fatigue symptoms that last more than two days could mean that your dog is getting ill. Traveling is tiring for dogs, just like humans. They might need a day to adjust or even a trip to the local dog spa. However, if they are not back to themselves within two days, it is a time to see a veterinarian. Vomiting Dog Vomit is the worst, especially the warning sounds that precede it. 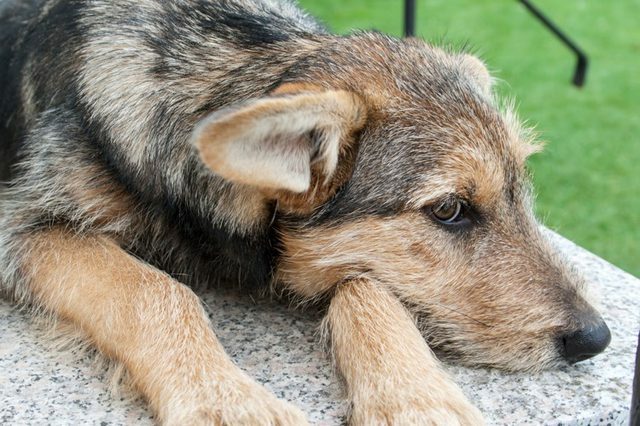 If your dog vomits several times in a row, vomits blood, or has a fever, you should call the vet immediately. Eye Irritation Cloudy or red eyes, squinting, or excessive discharge from your dog’s eyes could indicate an infection. When your dog travels, they are susceptible to viruses and allergies in the new environment. Call a vet if your dog seems to be extremely uncomfortable. How To Know If a First-Aid Kit is Enough to Treat Your Dog? If you and your dog are attached at the hip, you will know if your dog is seriously ill or injured. 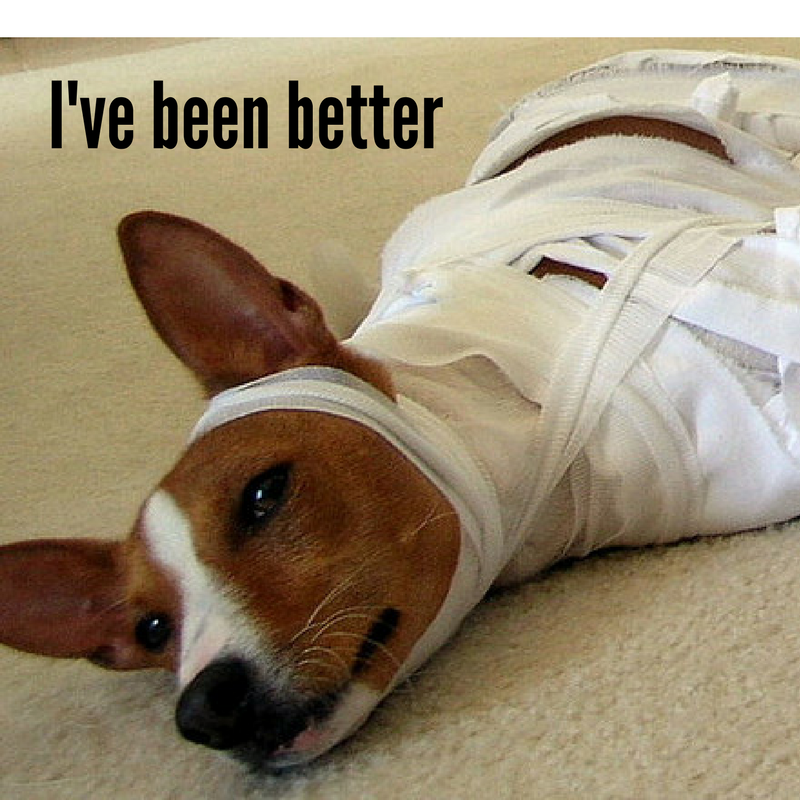 Your Pet First Aid Kit will have everything you need to treat minor scrapes, splinters, allergies and upset stomachs. Ask your veterinarian to give you any medication in advance to treat common travel ailments such an upset belly or allergies. The best way to avoid your dog becoming ill while on holiday is to offer them lots of water to prevent dehydration. Like humans, traveling, especially by air is very dehydrating. You can even use a syringe to get extra water into your dog if they are not drinking due to fear as they change environments. Stay calm, and don’t be afraid to ask others for their advice when it comes to the health of your dog. Remember that your dog depends 100% on you to provide exceptional care during holidays. If you found this article useful, please SHARE it with other dog owners who regularly travel with their dogs!